This case was built for Maryland Sound International. 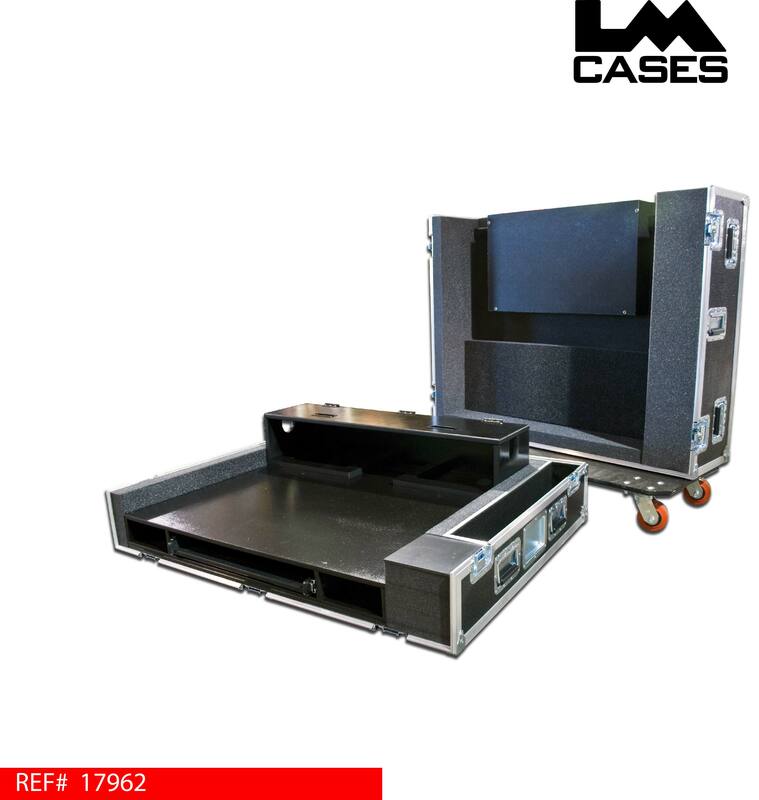 The case is designed to hold the SC48 in on a foam shock mounted structure that is built to make the doghouse and keyboard tray a single unit. 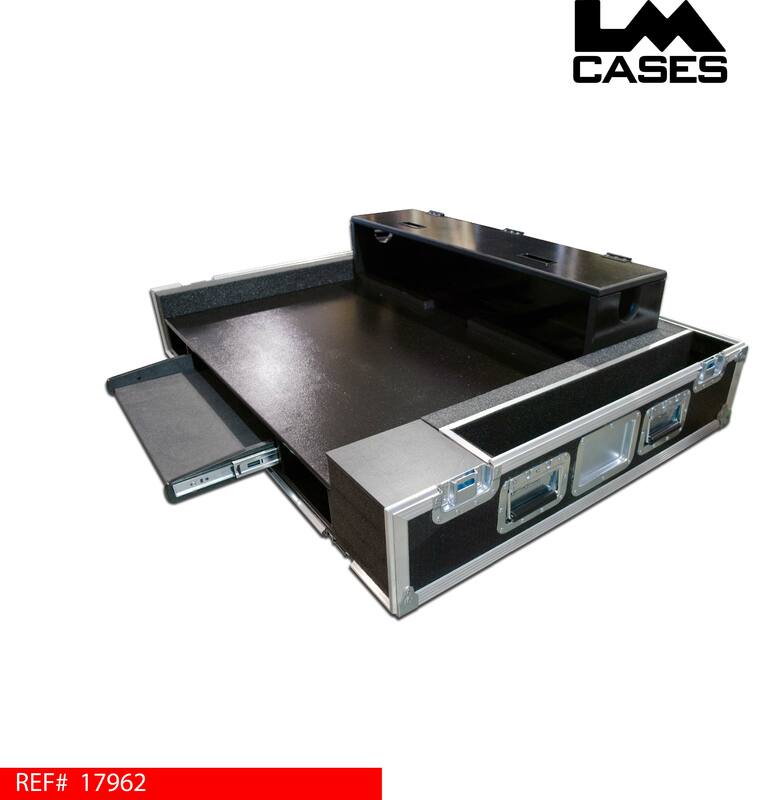 The case also features an accessory compartment as well as a built in mouse pad to the right of the console. 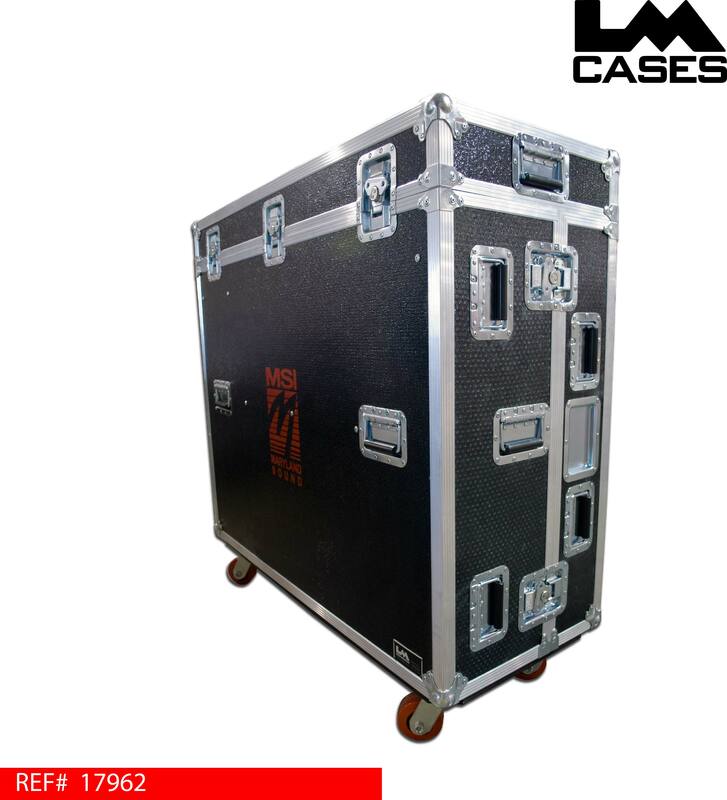 The exterior of the case is built out of 1/2" plywood laminated with a custom black textured fiberglass called Armortuf. The case has 20 handles, recessed dishes for asset bar code tags, a recessed PAL label dish, 4" x 2" casters, and a custom silkscreen of the companies logo.